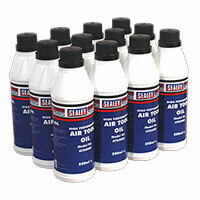 Keep your air tools and pneumatic equipment properly lubricated with some quality oil from Euro Car Parts. Explore the range below and invest in a quality product that won’t let you down. 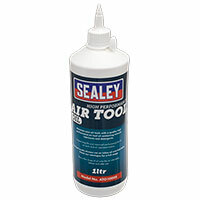 Pneumatic tools are expensive, so be sure to give yours the care and maintenance they require by investing in high-quality air power tool oil today. 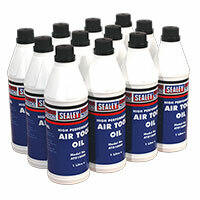 With only the biggest and the best brands available across the range, you’ll be sure to find the right air power tool oil for the job here at Euro Car Parts. 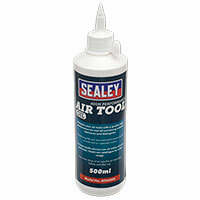 Used to keep the moving parts within pneumatic tools and equipment cool and running smoothly, you won’t regret investing in a quality product that could massively increase the longevity of your kit - saving you both time and money. Need your oil in double quick time? Reserve your item online, select ‘click and collect’ from the delivery menu and pick it up a few hours later from one of over 200 stores nationwide. Alternatively, if you want your items delivering to your door, free UK delivery is available across the range - saving you even more money!